If I were still a practicing ob-gyn and one of my patients said she was not going to vaccinate her child, I might try to persuade her to change her mind. But, if I were unsuccessful, I would respect her decision. I certainly would not lobby the government to pass a law mandating that children be vaccinated even if the children's parents object. 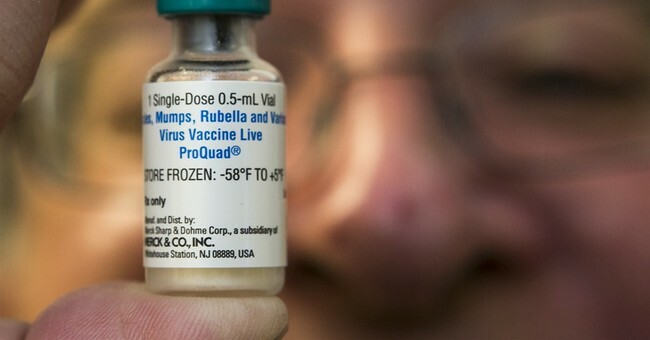 Sadly, the recent panic over the outbreak of measles has led many Americans, including some self-styled libertarians, to call for giving government new powers to force all children to be vaccinated.
? ?Those who are willing to make an "exception" to the principle that parents should make health care decisions for their children should ask themselves when in history has a "limited" infringement on individual liberty stayed limited. By ceding the principle that individuals have the right to make their own health care decisions, supporters of mandatory vaccines are opening the door for future infringements on health freedom.
? ?If government can mandate that children receive vaccines, then why shouldn't the government mandate that adults receive certain types of vaccines? And if it is the law that individuals must be vaccinated, then why shouldn't police officers be empowered to physically force resisters to receive a vaccine? If the fear of infections from the unvaccinated justifies mandatory vaccine laws, then why shouldn't police offices fine or arrest people who don't wash their hands or cover their noses or mouths when they cough or sneeze in public? Why not force people to eat right and take vitamins in order to lower their risk of contracting an infectious disease? These proposals may seem outlandish, but they are no different in principle from the proposal that government force children to be vaccinated.
? ?By giving vaccine companies a captive market, mandates encourage these companies to use their political influence to expand the amount of vaccine mandates. An example of how vaccine mandates may have led politics to override sound science is from my home state of Texas. In 2007, the then-Texas governor signed an executive order forcing eleven and twelve year old girls to receive the human papilloma virus (HPV) vaccine, even though most young girls are not at risk of HPV. The Texas legislature passed legislation undoing the order following a massive public outcry, fueled by revelations that the governor's former chief of staff was a top lobbyist for the company that manufactured the HPV vaccine.
? ?The same principles that protect the right to refuse vaccines also protect the right of individuals to refuse to associate with the unvaccinated. Private property owners have the right to forbid those who reject vaccines from entering their property. This right extends to private businesses concerned that unvaccinated individuals could pose a risk to their employees and customers. Consistent application of the principles of private property, freedom of association, and individual responsibility is the best way to address concerns that those who refuse vaccines could infect others with disease.
? ?Giving the government the power to override parental decisions regarding vaccines will inevitably lead to further restrictions on liberties. After all, if government can override parental or personal health care decisions, then what area of our lives is off-limits to government interference? Concerns about infection from the unvaccinated can be addressed by consistent application of the principles of private property and freedom of association. Instead of justifying new government intrusion into our lives, the vaccine debate provides more evidence of the need to restore respect for private property and individual liberty.